Life, they say is lived once. But lived well, once is enough. Khadija Deen-Savage, you have lived your life, a life well lived, a life worthy to emulate…..you have gone to meet our maker. These are trying moments for the family you have left behind. But surely, you will be with Allah until we – your friends, colleagues and family members meet you again. A journalistic pen has fallen. Down, it went with you, but trust that pen will linger on forever, years after your departure. How? A closer look and rereading of your news items, will bring us fresh memories of how you lived to tell your stories; how you reported court trials, especially criminal proceedings in our court system; how you helped build trust and confidence amongst the womenfolk in our beautiful profession called journalism. Your hijab was a manifestation of a true and plainly Muslim life you lived….your smiles, still, have refused to go with you dear. Here we are, thinking about you, and not crying, but smile and celebrate your precious and beautiful life, and the brilliant contribution you made to journalism in Sierra Leone. That which you did when we were at the Independent Observer newspaper, was extremely marvellous and outstanding; especially at a time when some of us were literally running away, in search of greater opportunities. You stayed in the profession, in the midst of societal challenges. And even at death, one thing did not disappear, your contribution in shaping women’s role in journalism. Khadijah, you will be missed. You are gone, truly so, you come no more. 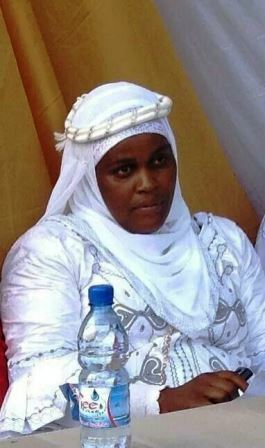 WIMSAL (Women in Media Sierra Leone) – cry no more; rather, you should thank Allah for a life well spent by Khadija, serving not just mankind, but also Allah. Pa Baimba Sesay is a former workmate of Khadija at the Independent Observer Newspaper, Sierra Leone.